We are totally committed to quality and this commitment is reflected in the on-going professional recognition that has been awarded to Alusani Skills & Training Network®. At Alusani Skills & Training Network® we offer professionals involved in the engineering, maintenance and construction disciplines on-going access to Continued Professional Development (CPD) through our short courses. Our courses make it easy for anyone involved in the engineering, maintenance, construction or related professions to maintain their professional registration while at the same time staying abreast of developments and advancements within their respective fields of practice. All of our engineering, maintenance and construction-related courses are accredited through SAICE as they are considered one of the leaders in the field when it comes to the approval of CPD activities. 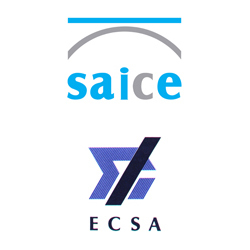 As SAICE is a recognised Voluntary Association (VA) of ECSA, this means that you can be assured that any Alusani Skills & Training Network® training course approved for CPD by SAICE will automatically be accepted by ECSA. 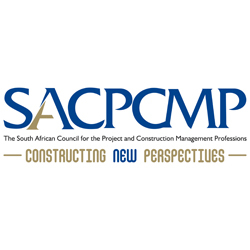 Currently we have 13 courses accredited with the SACPCMP. Alusani®currently has 6 courses accredited with ASAQS. 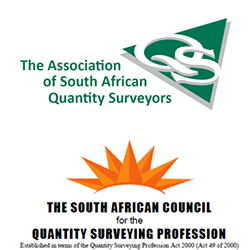 ASAQS provides guidance and resources to succeed in the quantity surveying profession today and in the future and to stay abreast of developments in the built environment. CPD courses assist members to broaden their knowledge base and promote professional growth. As ASAQS is a recognised VA of SACQSP, training courses validated by ASAQS will be accepted by SACQSP. 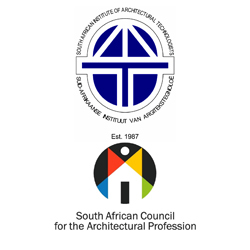 Currently 2 of our courses have been validated by SAIAT. As SAIAT is a recognised Voluntary Association of SACAP, any training courses validated by SAIAT will be automatically accepted by SACAP. Currently we have 4 training courses accredited with SAIOSH. For more information please visit their website: www.sacnaspcpd.org. Click below to view the latest course dates. Alusani Skills & Training Network® is a Corporate Member of the South African Institute of Occupational Safety and Health (SAIOSH). SAIOSH is a registered non-profit organisation (NPO) that is committed to the prevention and reduction of work place incidents and accidents in South Africa. SAIOSH is doing this by promoting Occupational Health and Safety Management and Practices among its members and stakeholders at large. Alusani Skills & Training Network® is also an official member of the Direct Marketing Association SA. This means we follow the DMA Code of Ethics and Standards of Practice and we are committed to the responsible and ethical execution of all of our direct marketing campaigns. In addition we ensure that all communication with our potential customers is factual, honest, decent and informative and that it does not violate any laws of the country. Alusani Skills & Training Network® has Full Accreditation as a Provider of Education & Training for the provision of learning programmes with the Services SETA. Alusani Skills & Training Network® has successfully passed comprehensive SETQAA evaluation audits of our quality management practices in relation to eight core criteria as specified by SAQA. We offer both short courses and credit-bearing learning programmes. For more information and documentation regarding our accreditation status, please contact imogen@alusani.co.za. Alusani Skills & Training Network® is on the list of private skills development providers that have lodged applications to be registered with the Department of Higher Education and Training.